Seat belt use in the United States has been steadily rising since 2000. There has also been a consistent decrease in unrestrained passenger vehicle occupant fatalities in the daytime. 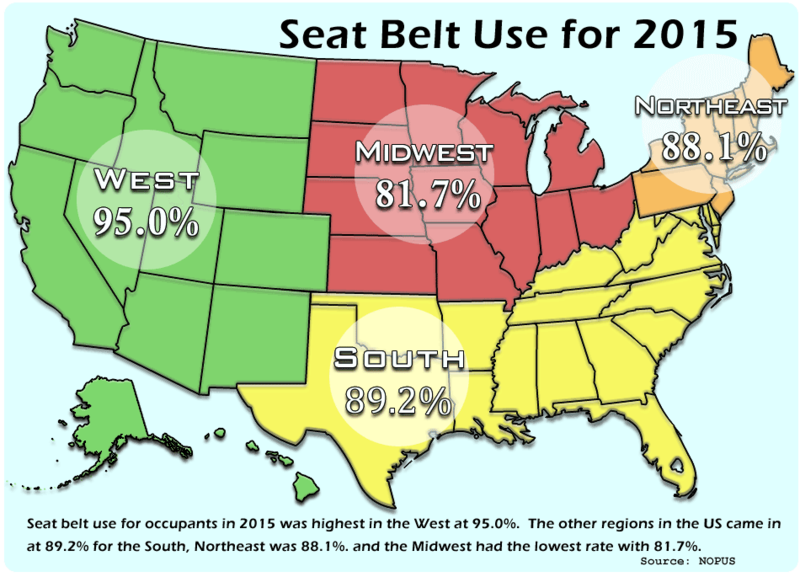 The overall National average seat-belt use in 2015 was 88.5%. The Western States have the highest average with 95.0% and the Midwest has a ways to go coming in at 81.7%.